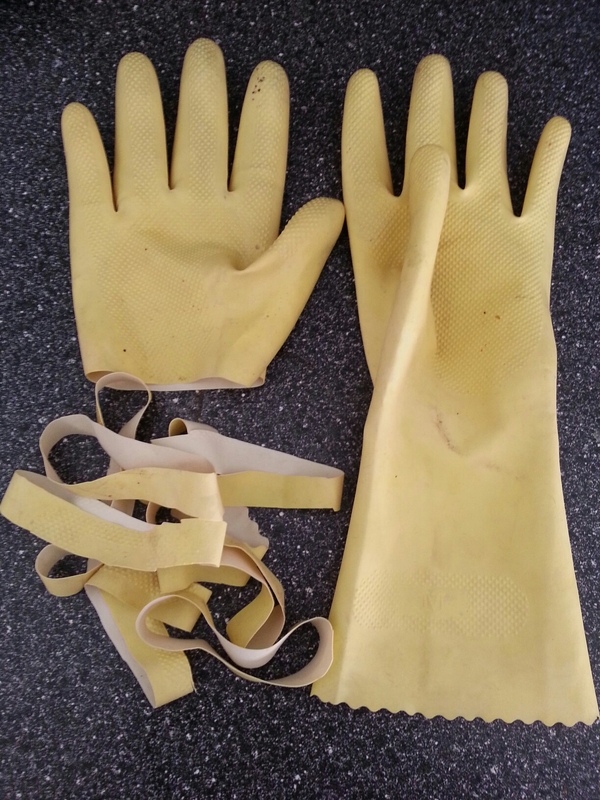 My dish gloves sprang a leak this morning, ending their usefulness in this particular incarnation. So I turned them into rubber bands. 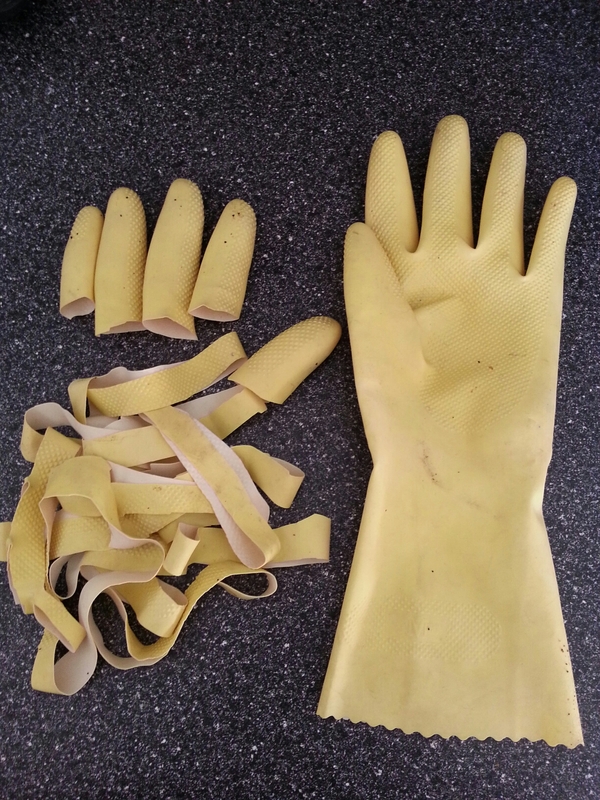 Since the latex in dish gloves is pretty thin, these aren’t the world’s strongest rubber bands. But they’re pretty handy when I want to bundle something up without leaving marks on it – for example, a poster or a roll of wrapping paper, which a regular rubber band will often make an indent on. You can also wrap this around a jar lid that you’re having trouble opening. It helps increase traction on the outside of the jar lid and voila! – the jar opens.